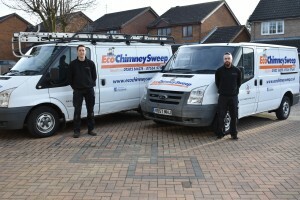 Welcome to the online home of Eco Chimney Sweep Limited. Established in 2012 and with over 12 years of experience in the industry, we are a specialist offering a wide array of chimney related services. Based in Lowestoft, Suffolk and well established in the local area, We pride ourselves on doing an excellent job for all of our customers, old and new. We work closely with both Ecoflue ltd and Waveney Stoves to carry out larger jobs such as stove and fireplace installations.